"I call on the power of Titanus and the Ultrazord!" 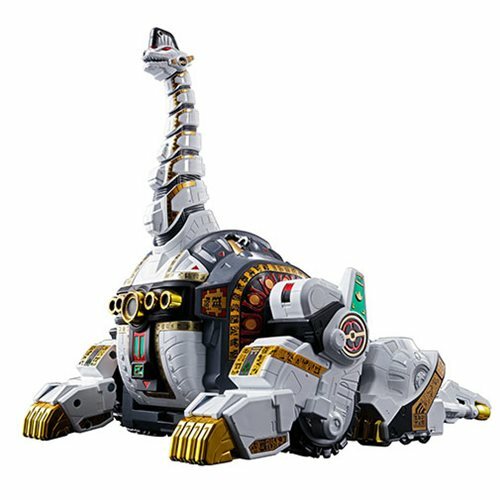 The Titanus from Power Rangers: Legacy Wars! Incredible action figure measures about 11 2/5-inches tall. 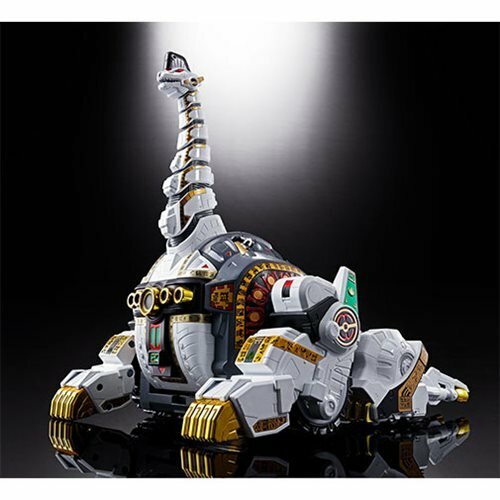 Features a poseable neck, movable tail cannons, and chain parts. 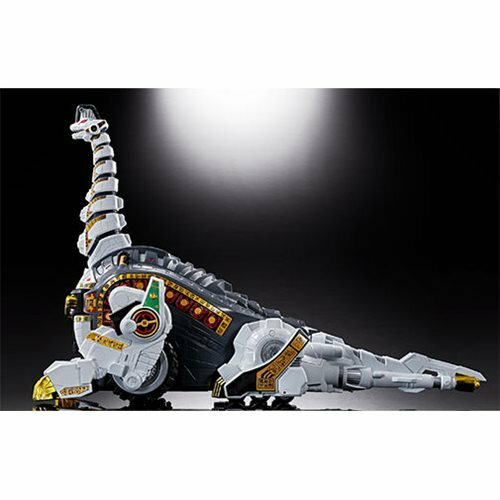 With all the detail and play value you've come to expect, the Titanus from Power Rangers: Legacy Wars joins the Soul of Chogokin series. 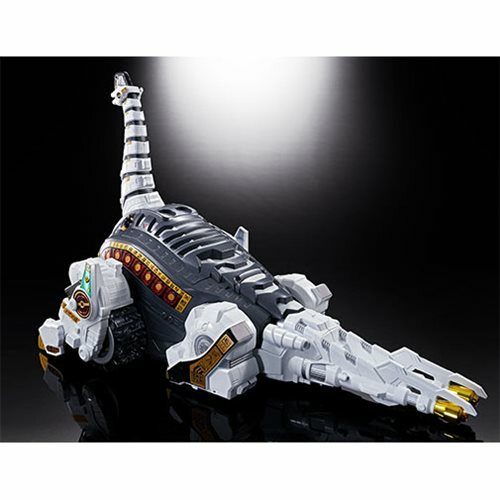 The neck is freely posable, and the incredible Mighty Morphin Power Rangers GX-85 Titanus Soul of Chogokin Action Figure includes movable tail cannons (left and right), neck parts, and chain parts. 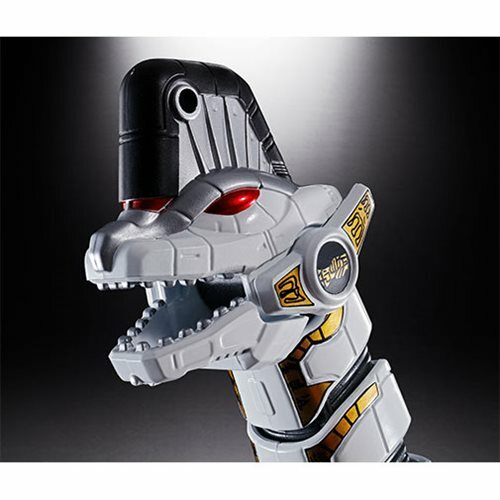 It measures about 11 2/5-inches tall and can be displayed with the Soul of Chogokin GX-78 Dragonzord and Soul of Chogokin GX-72 Megazord (both sold separately)! Ages 15 and up.